This site # PW155DMR5, is in Dumuria village of Chakdah block of Nadia district. 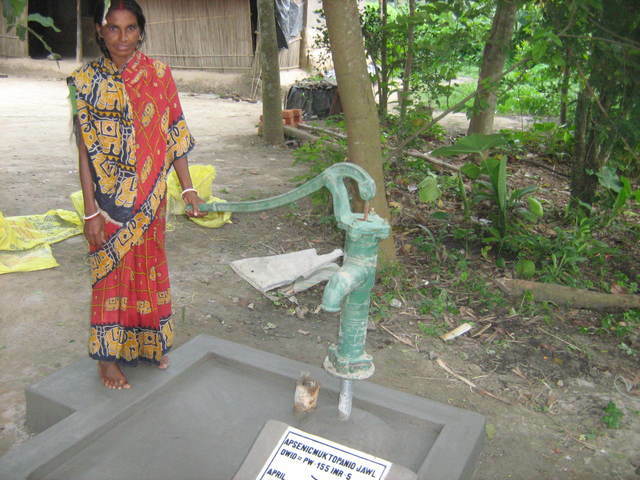 Bidhan Mallick donated the site for the community. pw 153 health meeting is ok people 9 . me 3. fe 5 .chi1. 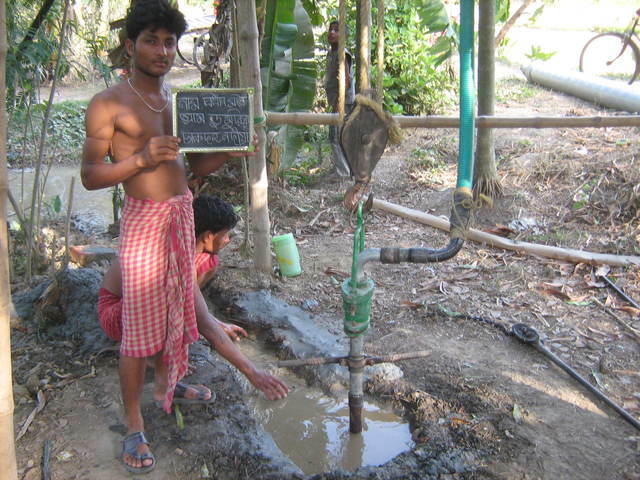 This borewell contain 30 foot long pipe of 10 inches diameter and 8 inches thickness. The cost of pipes of such dimension is much higher than the 20 feet pipe of smaller dimension. 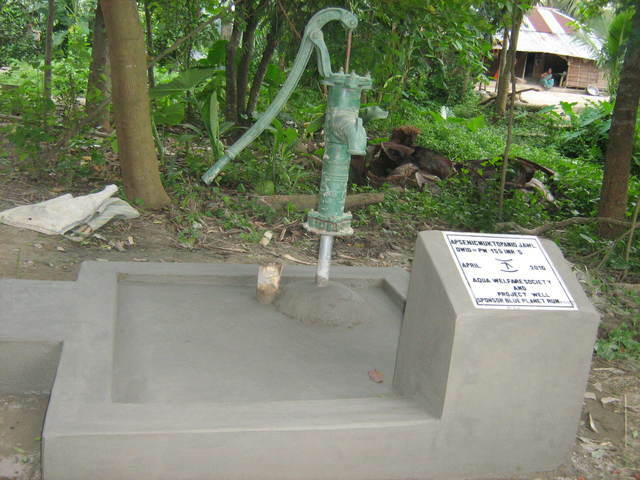 The maintenance cost of these borewells are negligible compared to modern dugwell or bore-dugwell. According to the register record of July 2011 the total consumers=25; Families=6; Male=13, Female=12, children <5 = 1 and students =10. Now 7 families are using this source. Registers are yet to be created. 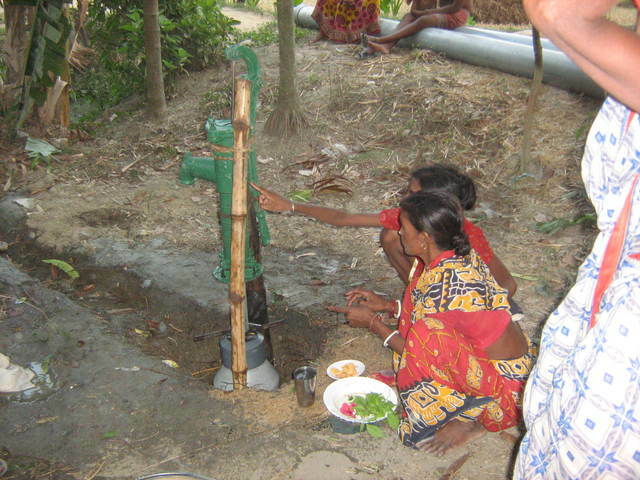 Sept Update: 10 families are using this water for drinking & cooking purpose. This area water demand is high. Registers are being created and will be available soon.